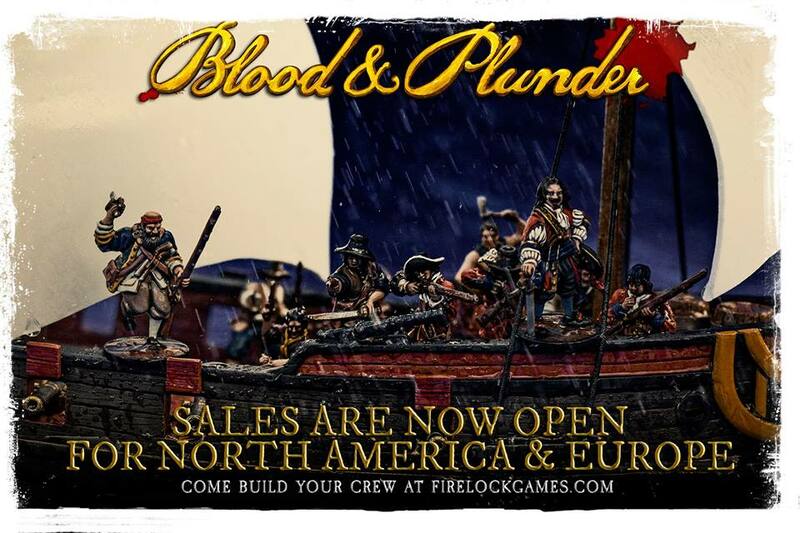 Blood & Plunder was one of the break-out hits of last year. The guys over at Firelock Games had quite a successful Kickstarter campaign. Then came a great showing at Gen Con with some truly amazing gaming tables and a sweet booth. Now you can get your own hands on their swashbuckling figures over in their webshop. Sales are now open for North America and Europe. A freight shipping option has been added to European orders that has greatly reduced shipping cost (VAT is included). Orders will be consolidated and shipped ocean freight . We have also extended a special price on our bundles for Europe like we did for North American sales. So come to www.firelockgames.com and build your crew!